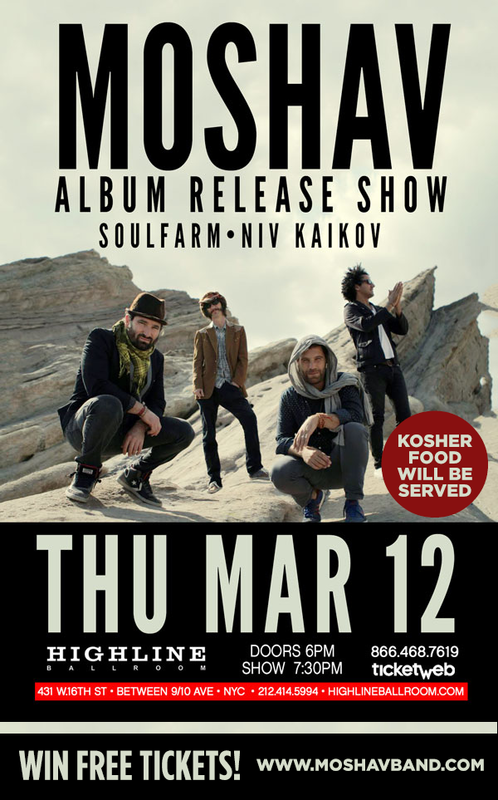 Moshav will be headed back to NYC to perform at the Highline Ballroom with Soulfarm and Niv Kaikov on March 12th. Congrats to Nava Wilk who won two tickets to our upcoming NYC show!! There are still a couple ways to win FREE TICKETS! 1. Make a funny video related to Moshav or a video of you or a friend covering a Moshav song, upload/link it to Moshav’s Facebook page and the Facebook event and tag @Moshav. 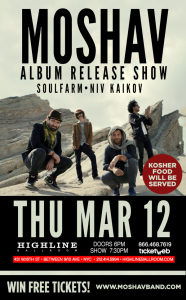 The winning submission will receive two tickets to the show, Moshav’s double album and a t-shirt! 2. Simply share the event, and tag @Moshav in the status to win FREE TICKETS! Soul Spark hits SXSWThe Original Israeli Keffiyeh Design is Back in the Shop!